This inspiring film chronicles the spectacular rise of the Christian band, Hillsong UNITED, to a worldwide recording and concert sensation. 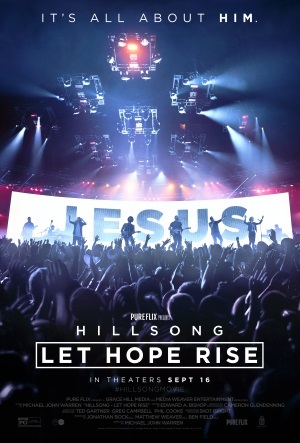 Capturing the on-stage energy and off-stage hearts of the Australia-based band Hillsong UNITED, HILLSONG–LET HOPE RISE is a new motion-picture genre—the theatrical worship experience. The film explores Hillsong’s humble beginnings and astonishing rise to prominence as an international church whose songs are sung every Sunday by more than 50 million people worldwide. The runtime for the film is 103 mins. Hillsong United - the biggest band you've never heard of. I have listened to the music of Hillsong for years and years, I think even as far back as when they first started up. I've known they were from Australia but that's about it. This video is a wonderful look at their beginnings and how they have grown to become the international success so richly deserved. This DVD highlights the history of the band, from the youth band of the '80's to the highly successful band Hillsong is now. The process of writing new material and their drive and passion to 'connect the human heart with heaven' was inspiring. There was also backstage footage showing how this band travels worldwide highlighting some of the interesting places they have been to. Some might find the excess amount of concert pieces much but I loved it, especially the 'Mighty to Save' piece with it's different languages, locations and cultures. Let Hope Rise also takes viewers behind the scenes with interviews from its members, showing their homes, family and lifestyle. While many associate success with financial freedom this 11 member band lives modestly and gives freely to missions. All in all a great dvd, with high energy you can feel the passion that this group has not just for each other but their calling. "Movie has been provided courtesy of Pure Flix Entertainment and Graf-Martin Communications, Inc."
Marlene Dietrich’s femme fatale persona defined her, but behind the glitz of 1930s Hollywood was a remarkably modern woman, determined to live by her own terms. A rebellious girl, Marlene’s genteel family expectations curtail her until Germany's defeat in the Great War gives rise to the decadence of Weimar Berlin. Here, Marlene finds her niche as a cabaret actress. With her sultry beauty, smoky voice, and androgynous tuxedo, she performs to packed houses and has a series of stormy love affairs that push the boundaries of social convention until she finds overnight success in the scandalous movie The Blue Angel. As Hitler seizes power, Marlene sets sail for America to become one of Hollywood’s top leading ladies, starring opposite Gary Cooper, John Wayne, and Cary Grant. When Hitler tries to entice her back to Germany, Marlene defiantly declares her stance, risking her life to perform for Allied troops. And upon the war's savage end, she finally returns to Germany to discover a heartbreaking secret amidst the war’s devastation. MARLENE is out in paperback on December 13 and features exclusive extra content. A perfect gift for lovers of old Hollywood and strong dames! To find out more, please visit: www.cwgortner.com/Marlene.html. From the gender-bending cabarets of Weimar Berlin to the tyrannical movie studios of Los Angeles, this sweeping story of passion, glamour, art, and war is a lush, dramatic novel of one of the most alluring legends of Hollywood’s golden age: Marlene Dietrich. Raised in genteel poverty after the First World War, Maria Magdalena Dietrich dreams of a life on the stage. When her budding career as a violinist is cut short, she vows to become an actress, trading her family’s proper, middle-class society for the free-spirited, louche world of Berlin’s cabarets and drag balls. With her sultry beauty, smoky voice, and androgynous tailored suits, Marlene performs to packed houses and conducts a series of stormy love affairs that push the boundaries of social convention until she finds overnight success in the scandalous movie The Blue Angel. For Marlene, neither fame nor marriage and motherhood can cure her wanderlust. As Hitler rises to power, she sets sail for America to become a rival to MGM’s queen, Greta Garbo. As one of Hollywood’s top leading ladies, she stars with such legends as Gary Cooper, John Wayne, and Cary Grant. Desperate for her return, Hitler tries to lure her with dazzling promises. Defiant in her stance against the Nazis, Marlene chooses instead to become an American citizen, and after her new nation is forced into World War II, she tours with the USO, performing for Allied troops in Europe and Africa. But one day, she must return to Germany, where she will discover a heartbreaking secret amidst the war’s devastation that transformed her homeland and the family she loved. An enthralling account of this extraordinary legend, MARLENE reveals the inner life of a woman of grit and ambition who defied convention, seduced the world, and forged her own path. For more information visit C.W. Gortner’s website and blog. 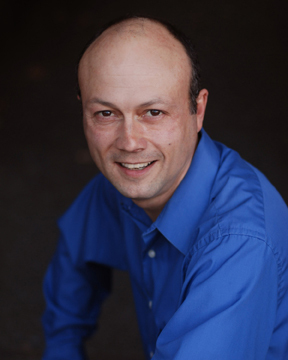 You can also find him on Facebook, Twittter, Goodreads, Pinterest, and YouTube. Sign up for C.W. Gortner’s Newsletter for updates. 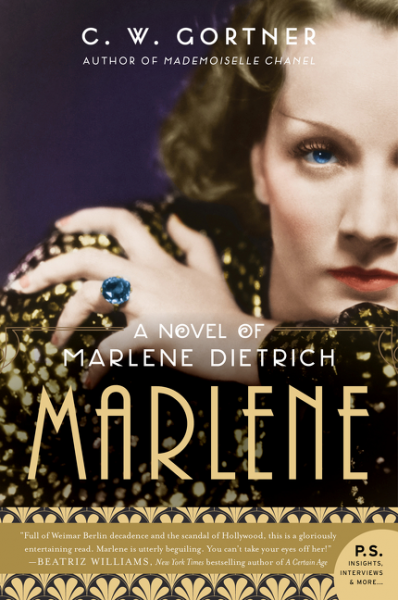 To win a paperback copy of Marlene: A Novel of Marlene Dietrich by C.W. Gortner, please enter via the Gleam form below. Two copies are up for grabs! Rules – Giveaway ends at 11:59pm EST on December 20th. You must be 18 or older to enter. – Giveaway is open to US residents only. – Only one entry per household. – All giveaway entrants agree to be honest and not cheat the systems; any suspect of fraud is decided upon by blog/site owner and the sponsor, and entrants may be disqualified at our discretion. – Winner has 48 hours to claim prize or new winner is chosen. Sarah Nickerson is like any other career-driven supermom in Welmont, the affluent Boston suburb where she leads a hectic but charmed life with her husband Bob, faithful nanny, and three children—Lucy, Charlie, and nine-month-old Linus. Between recruiting the best and brightest minds as the vice president of human resources at Berkley Consulting; shuttling the kids to soccer, day care, and piano lessons; convincing her son’s teacher that he may not, in fact, have ADD; and making it home in time for dinner, it’s a wonder this over-scheduled, over-achieving Harvard graduate has time to breathe. A self-confessed balloon about to burst, Sarah miraculously manages every minute of her life like an air traffic controller. Until one fateful day, while driving to work and trying to make a phone call, she looks away from the road for one second too long. 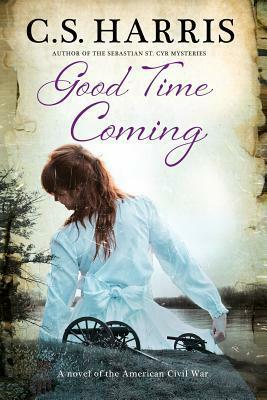 In the blink of an eye, all the rapidly moving parts of her jam-packed life come to a screeching halt. A traumatic brain injury completely erases the left side of her world, and for once, Sarah relinquishes control to those around her, including her formerly absent mother. Without the ability to even floss her own teeth, she struggles to find answers about her past and her uncertain future. Now, as she wills herself to regain her independence and heal, Sarah must learn that her real destiny—her new, true life—may in fact lie far from the world of conference calls and spreadsheets. And that a happiness and peace greater than all the success in the world is close within reach, if only she slows down long enough to notice. Lisa Genova's first book Still Alice was the first book I polished off pretty well in one night. Then came Inside the O'Brien's, which was another emotional story. Reason only dictated that I would continue reading her books. This was an audio read for me and given the first person narrative it worked great. I don't think it was high expectations here that made me feel this one lacked the emotional impact I had come to expect. As you can read above there is a lot going on here, there are many layers to this story and I struggled to connect with the characters like in previous books. The author used the first 20% introducing this family and letting the reader get a good glimpse of what life for the Nickerson family was like. I found it rather dizzy and sad. Sarah has so much going that I was exhausted for her. This book is told from Sarah's point of view and while I found that interesting and did feel sympathy for her situation it was hard to like her. Sarah's world revolved around Sarah. I don't mean to sound harsh and make this sound like a terrible story. I found the injury interesting and a condition that I have never heard of before, the treatment and living with Left Neglect would be difficult not just for the patient but family and friends as well. That being said it would really have been nice to hear Bob's side of this story, to know his thoughts and feelings. The ending was predictable which isn't a bad thing, sometimes its unavoidable. There are things that resonates with me here, the first being put your phone away when driving, so many lives are destroyed because of them. This story is a sad reminder that life can change just like that and we should living accordingly. Good Time Coming is a powerful story of survival, a coming-of-age story that has made me see the Civil War from a different prospective. Where one usually reads from the point of view of either the North or South this book stays away from the political aspects and rather the reader gets a truly authentic look at those left at home. Amrie is only 12 years old when this story begins. With wonderful dialogue, vivid descriptions and a touch of humor it wasn't hard getting to know her and to become completely enraptured with her character. She is curious, adventurous and constantly on the move, this war forces her to growup and leave her childhood behind. "The idea that someone could take all this from me - my sense of identity, my connection to ancestors I'd never known, the image of my dead brother - made me feel anxious and vulnerable in a way I'd never before realized I was. It also made me quietly, powerfully, and enduringly furious....But such wishings came from the imagination of a child, and my childhood was rapidly slipping away from me." Amrie is telling the story here and she does it flawlessly. 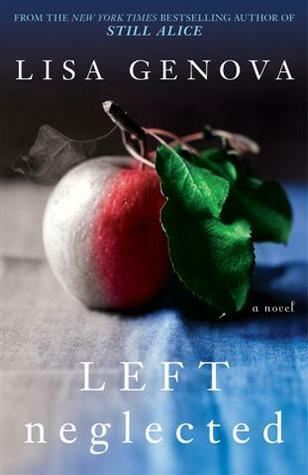 There are many layers to Good Time Coming and she is able to convey how this conflict affects not just her family but the lives of those around her giving the reader a truly realistic and heartbreaking view of this war. What stands out for me in this book is the authors writing, she was able to connect me with all the characters and situations, to feel empathy for the struggles and what they were forced to endure while the men were of fighting this war. At times some of it was hard to take in it but this was a realistic look at the American Civil War. The descriptions made it easy not just to visualize but feel what was taking place. "I suppose the point is, life is capricious. We can never know the outcome of our actions or decisions, and the idea that we can control our lives is more often than not an illusion. All we can do is what we think is right, and acknowledge that sometimes things will turn out horribly wrong anyway." While this book had a fitting conclusion I can't help but miss Amrie and would love to see what happens next in her life, one can always hope for a sequel. This is my first time reading anything by CS Harris and she has a new fan, her Sebastian St. Cyr series is already patiently waiting in my tbr pile. 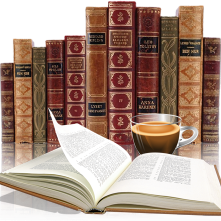 As a big fan of audio books I feel, with the right reader, that this would work perfectly in that format. Thank you to the Severn House Publishers for an advanced copy via Netgalley.